In this post, we’re going on with the overview of Biodiversity on Islands. In a previous post, we talked about Island features. Now, let’s move on Island Biogeography to explain how species distribution on islands is. We would like to summarize the main ideas of the theory of Dynamic Equilibrium on Islands by MacArthur and Wilson (1967). The key concept is that island biogeography depends on island size and the distance to mainland by processes of extinction and immigration. 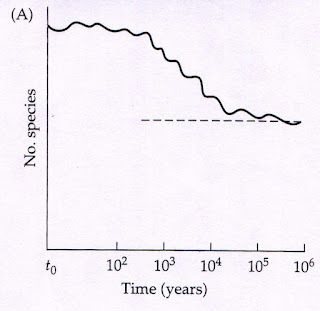 Obviously, colonization (immigration) depends on the distance to mainland and the relaxation of species (extinction) increase depends on island size (Fig. 1). Fig. 1: Number of species on islands and its relation to island area and distance from mainland. Source: Dr. Dirnberger's Page for Ecology, Kennesaw State University, U. S. A. Immigration begins rapidly with good dispersers, and then slows as poorer dispersers struggle to arrive. Extinction begins slowly because at first there is nothing to go to extinct, but as more species arrive competition for niches and predation drive to extinction. 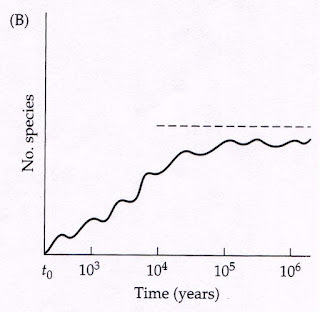 Over time, the collision of the forces of extinction and immigration result in an equilibrium level of species richness (Fig. 2). What’s the consequence? 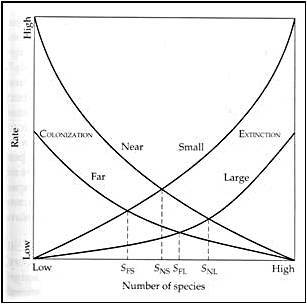 The equilibrium between immigration and extinction shows the larger and closer islands have more species than the smallest and distant ones. Moreover, they reach the equilibrium before (Fig. 2). Fig. 2: MacArthur and Wilson (1967) Equilibrum Model. Source: Dr. Tom Wolosz's Page for Extinction, Plattsburgh State University, New York, U. S. A. The difference between continental and oceanic islands is important too. Continental islands are characterized by processes of extinction, meanwhile oceanic ones depends on colonization forces which works slowly. In this way, relaxation of species on continental islands begins slowly but they reach the equilibrum before than oceanic islands (Fig. 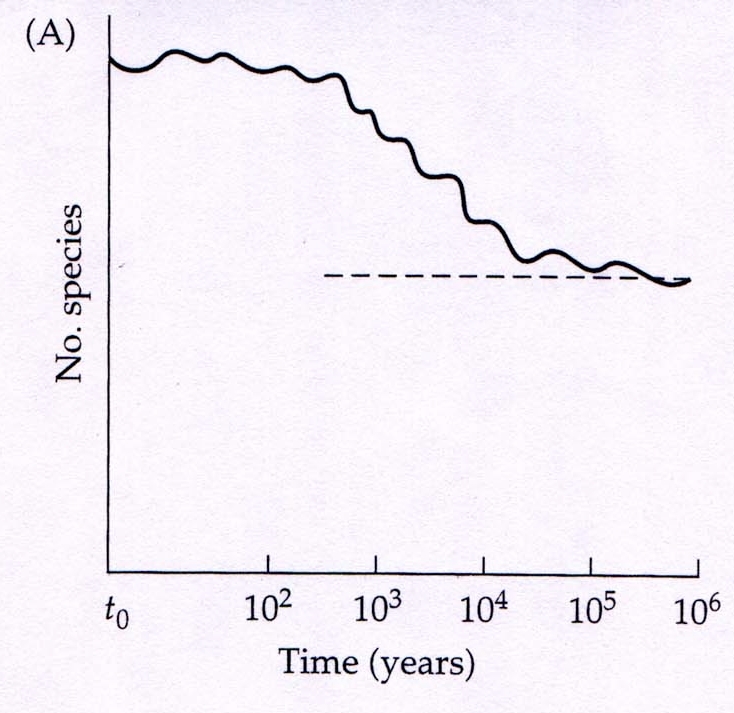 3a), where the colonization operates slowly so the number of species on oceanic islands stabilizes later (Fig. 3b). Fig. 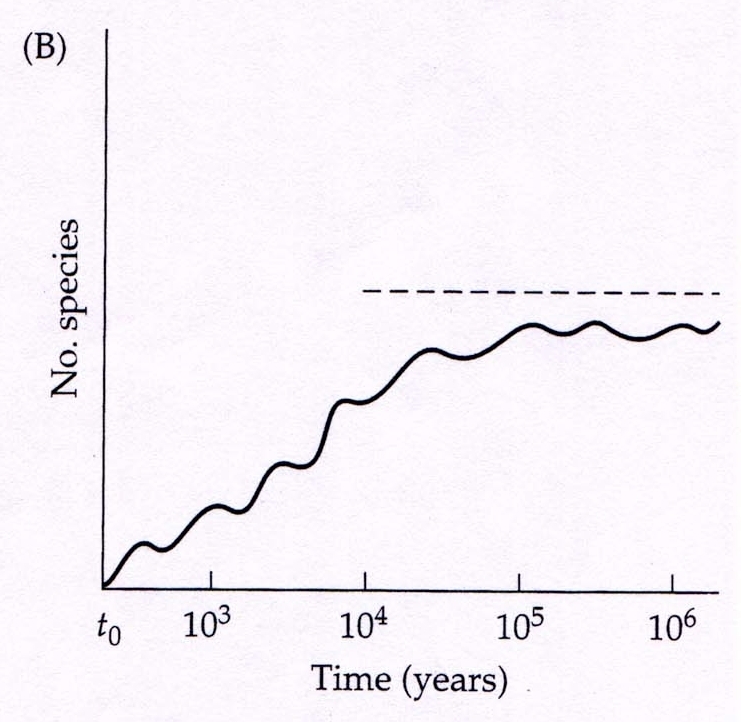 3: Number of species over time on continental (A) and oceanic (B) islands. MacArthur and Wilson's Theory have been applied to other Ecology disciplines and Conservation Biology branches, as for example the study of habitat fragmentation and nature reserves. However, there are other aspects to take in consideration and nowadays this theory is being discussed, so some modifications and alternatives are being proposed (see e. g. Lomolino 2000). Anyway, it was the first paradigm of Island Biogeography and established the main concepts to understand it. That finishes the summarize about Island Biogeography. In the next and last post of this series will be about Extinction on islands. Lomolino M. V. 2000. 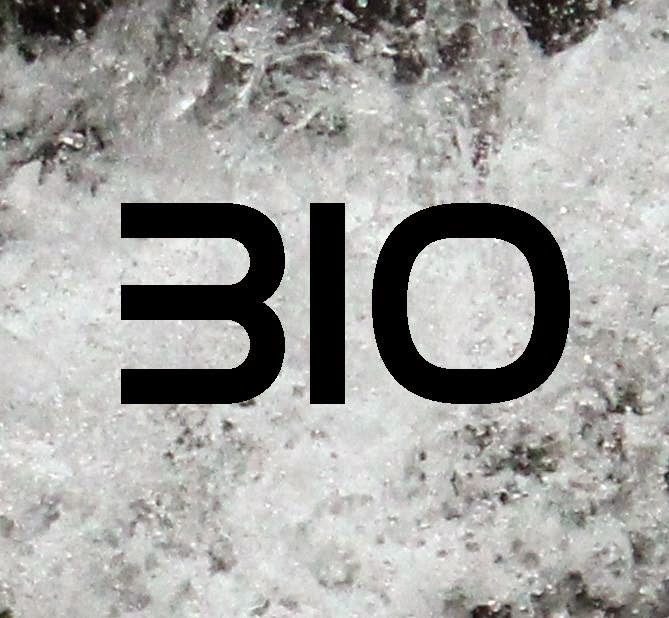 A call for a new paradigm of island biogeography. 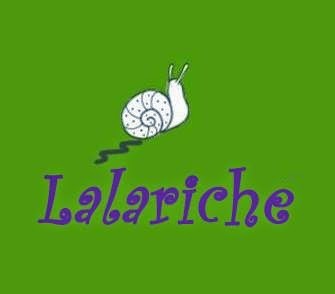 Global Ecology & Biogeography, 9: 1-6. MacArthur, R. H. & Wilson, E. O. 1967. The theory of island biogeogaphy. Princeton University Press. Margalef, R. 1993. 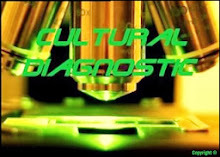 Teoría de los sistemas ecológicos. Universitat de Barcelona. Pianka, E. R. 1978. Evolutionary ecology. Harper & Row. Wihttacker, R. J. & Fernández-Palacios, J. M. 2007. Island Biogeography: ecology, evolution and conservation. Oxford University Press.